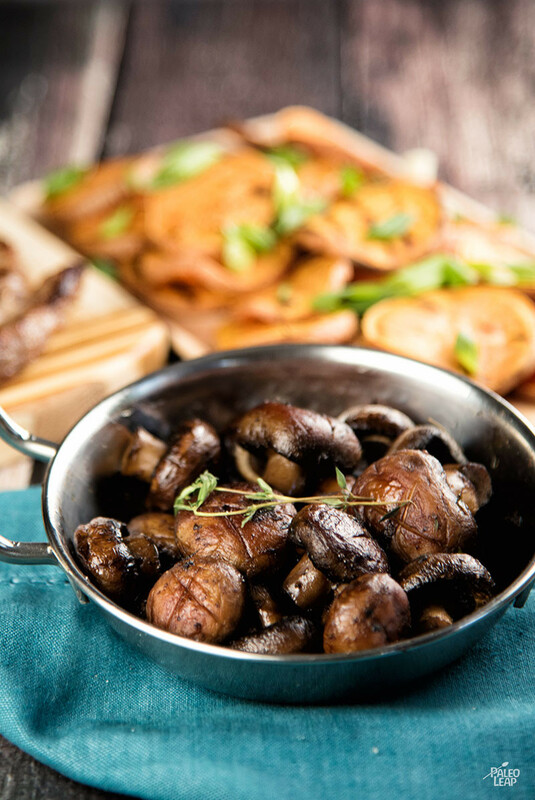 Whole roasted mushrooms roasted with fresh sprigs of thyme make a rustic side dish that goes well with almost anything savory. And they’re a great illustration of how powerful fat can be for adding flavor to your cooking. 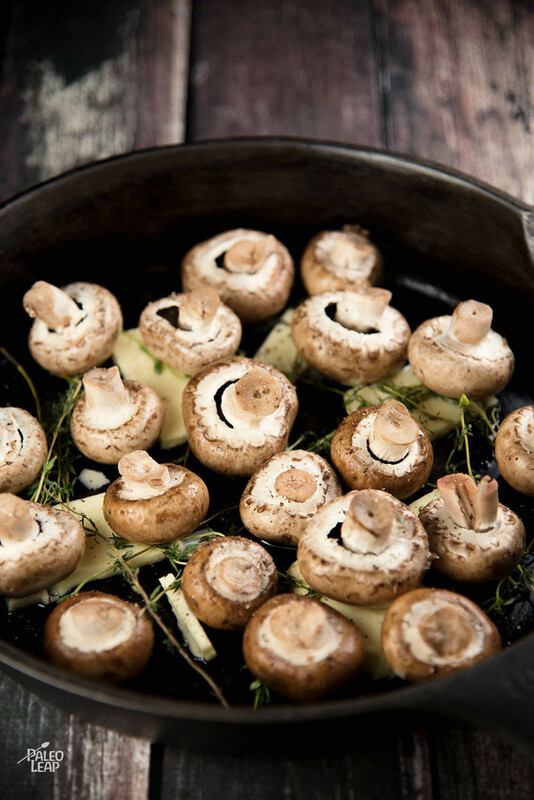 Starting with some clarified butter in the pan gives you a that slightly nutty flavor as a base, and drizzling the mushrooms with olive oil brings out the flavor of the herbs even more as well as adding a flavor of its own. Try doing that with “calorie-free” cooking spray! For a vegetable side, this is a surprisingly hearty dish – there’s a reason why mushroom caps are a favorite burger replacement for so many vegans. You could just add a few slices of bacon or some fried eggs to make a light meal for breakfast or lunch. Alternately, if your’e looking for something heartier, you could keep with the “peasant food” theme, and serve these with carrot potage and maybe some simple roast chicken. Or dress them up instead with steak: they’re flexible enough to do either, or something completely different depending on what you’re hungry for. Add cooking fat, garlic and thyme sprigs to the bottom of an oven proof skillet. Place the mushrooms, cap side down, on top of the thyme and garlic. Drizzle with the olive oil and roast in the oven for 20 to 25 minutes.